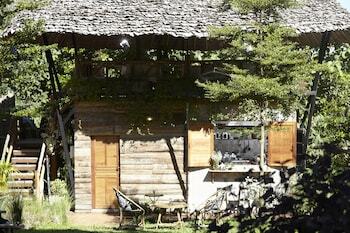 Located in Pai, House of Love @ Pai is within a 10-minute drive of Wat Luang and Pai Hospital. Featured amenities include dry cleaning/laundry services and luggage storage. A shuttle from the airport to the hotel is complimentary (available 24 hours). Located in Sisaket, The SP Hotel is a 4-minute drive from Wat Maha Puttharam and 7 minutes from 80th Chaloem Phrakiat Park. Free self parking is available onsite.